← Can readers trust paid-for book reviews? Quite a few authors who chose to publish through Kindle Direct Publishing Select are publicizing their results, particularly those who did/are doing well selling their books through the program, so I thought I’d add mine. For those who don’t already know, publishing through Select gives Amazon exclusivity. An author cannot publish their e-book with other e-tailers. 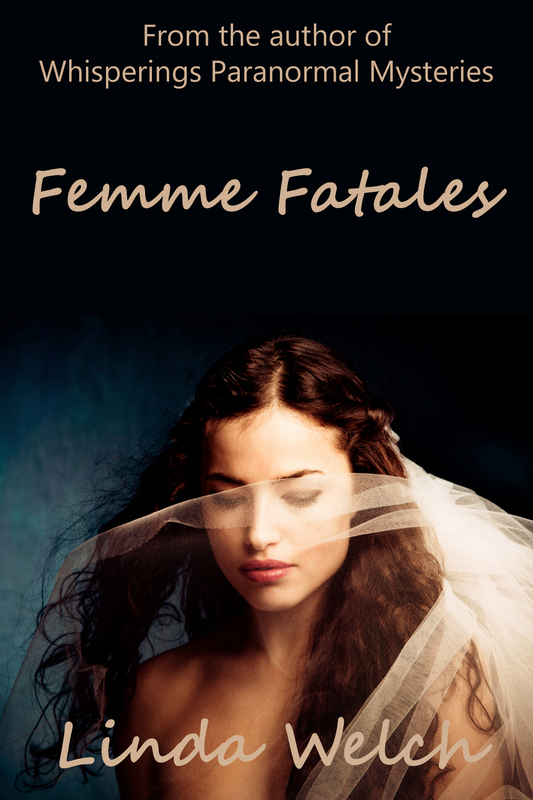 I will never remove my Whispering series from other e-tailers, but I thought I’d try Select with my brand new collection of short stories: Femme Fatales. My results are not so great. I published on January 30th and had a few sales on the 31st. Then Amazon’s major glitch hit. Nobody knows exactly what happened, and may still be happening. We only knew purchases made on February 2nd did not show up on our sales report, and the Amazon rankings went wonky. Myriad emails to KDP went unanswered. I knew I had sales on that day, because several readers told me they purchased Femme Fatales, including UK readers, and some even emailed me a copy of their sales receipt, but none appeared on my sales report. I emailed Amazon twice, and only received a reply today, to say they were working on the problem. This raises the question, when they do update our sales, how do we know? We have no way of knowing if a rise in sales indicates sales for this particular day, or Amazon is catching up. It doesn’t matter in the long run, but it would be nice to know if there is a surge in sales but not in ranking, Amazon KDP is catching up, not messing up. Again. But I digress. On Friday February 3rd Femme Fatales’ rank on Amazon had reached the 44K range for Paid, so I know I sold a reasonable amount, but not how many because of the KDP glitch. Femme Fatales went free on Saturday February 4th. I had 248 downloads that day, which took my ranking to 865 Free. Bear in mind I don’t get a penny from Amazon for free downloads, but the effect on my ranking was great because it upped Femme Fatales’ visibility on the Amazon site. Very nice! But, I neglected to take Superbowl Sunday into consideration when so many watched the game instead of buying books! I only had a few US, UK and Germany downloads on Sunday My totals on Sunday evening had reached 300 in the US, 25 in the UK, and 5 in Germany. This was disappointing after hearing that many authors had thousands or tens of thousands of downloads in January. But here’s the thing. On Monday, when the book was no longer free, my ranking zipped back from Free to Paid. The Free ranking no long appeared on my product page, and because I had not sold any books for two days, my ranking for Paid was in the 187K range, making the book all but invisible to browsers. Today it’s ranked 201,762 Paid. I think those who published in January had an advantage over those who publish(ed) in February. Select was new in January, as was being able to offer a book free. Readers went crazy downloading all those free books, but their Kindles are now stuffed with hundreds of books which will keep them occupied for quite some time before they go looking for more. I’m committed to Select for 90 days but I don’t know if I’ll use my other three “free” days. And if sales and ranking for Femme Fatales has not improved at the end of the 90 days, I will remove it from KDP Select so that I can sell it through other e-tailers. UPDATE: Please read the results of my second KDP experiment What a difference! This entry was posted in Adventures in Publishing, Ramblings and tagged fiction, Linda D. Welch, Linda Welch, paranormal mystery, publishing, self-publishing, Whisperings, Whisperings novels, Whisperings Shorts. Bookmark the permalink. I’ll go ahead and add your post, if you don’t mind. I think we all need to share, good and bad and in-between, so we can learn from each other and figure this whole thing out! Thanks again for sharing! Wow, that is a bummer. But thank you so much for posting the raw data. It will help a lot of people decide whether or not to try KDP. For the two books I have enrolled, results have been okay. But I’ve been getting a fair amount of messages from readers asking, why can’t I get your book for Nook or my generic ereader? For the first time in my life I have readers. Can’t stand the idea of shutting them out. So I’m not sure I’ll use KDP Select again. I know what you mean, Stephanie. I tried Select with this one book because it’s new, I wouldn’t with my others. 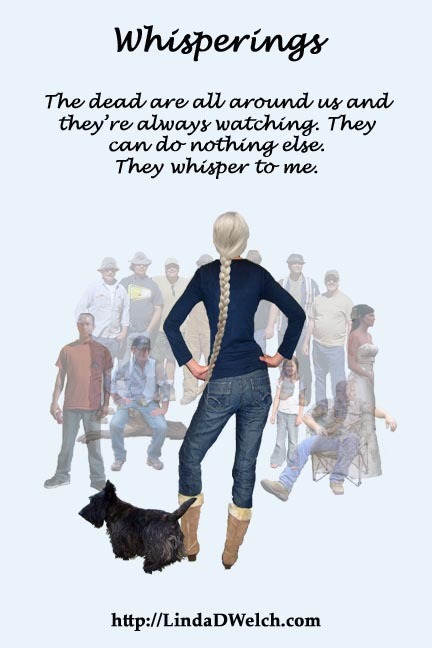 I have Whisperings readers who don’t own a Kindle and I couldn’t disappoint them. I suppose you have to decide whether or not you continue to disappoint those readers who are contacting you. Mind you, some authors are having spectacular results with Select. Just not me.